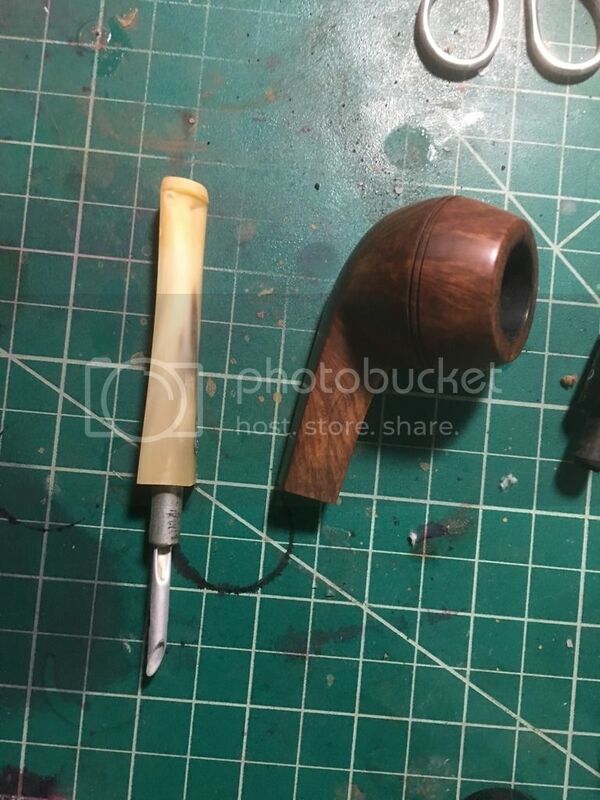 So I'm busy with a small Ropp pipe. The bowl is coming on nicely, but the stem is problematic. 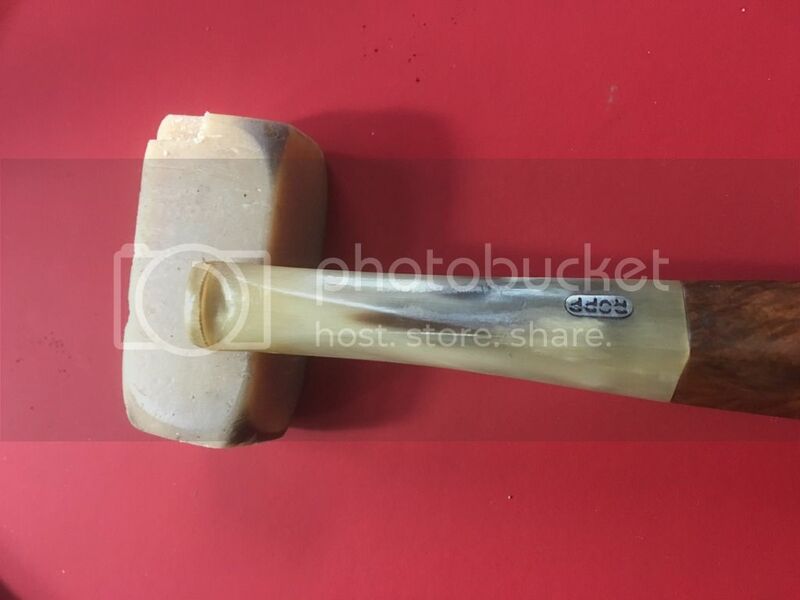 It appears to be bone. I managed to clear most of the stains and gunk off with Polydent and an ultrasonic cleaner. The closer I look I think that might be polished horn of some kind. I was going to suggest this, they have some "temp" stuff you can by at CVS or maybe London Drugs in your case, that is for when you need to do a temp filling on your own tooth, it's the same puddy and you can just smear it in. Looks pretty good. I'd have no clue how to fix that but slide a rubber tip on to hide it and all good. Unless you are like me and your OCD knows it is there hiding under that rubber but mocking and laughing at you "nah nana nah nah". I'm just curious, do you mean media blasting of some sort or does this term mean something else entirely north of the border? I meant sandblasted. Brings out the briar grain. 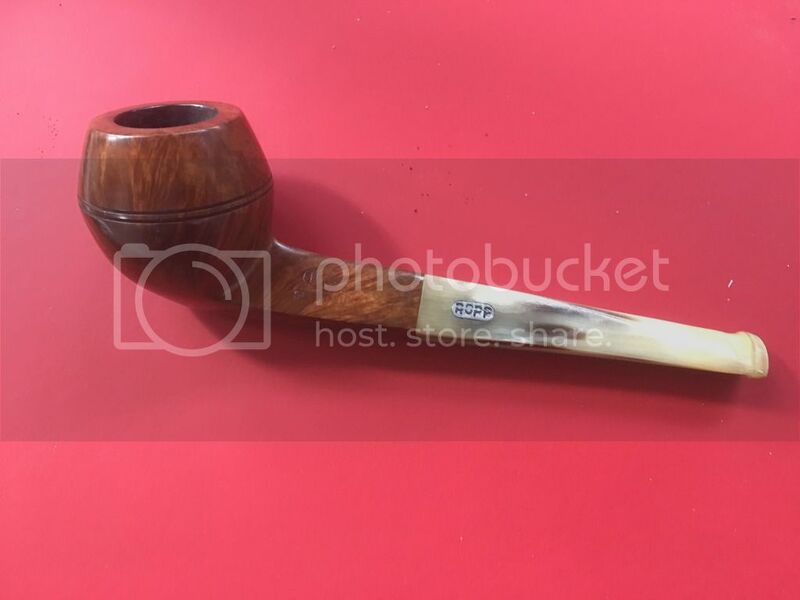 As opposed to a smooth finish or "rustication"
P.S if anyone really likes this little Ropp, in spite of the stem chomp dents, then I'm open to offers. 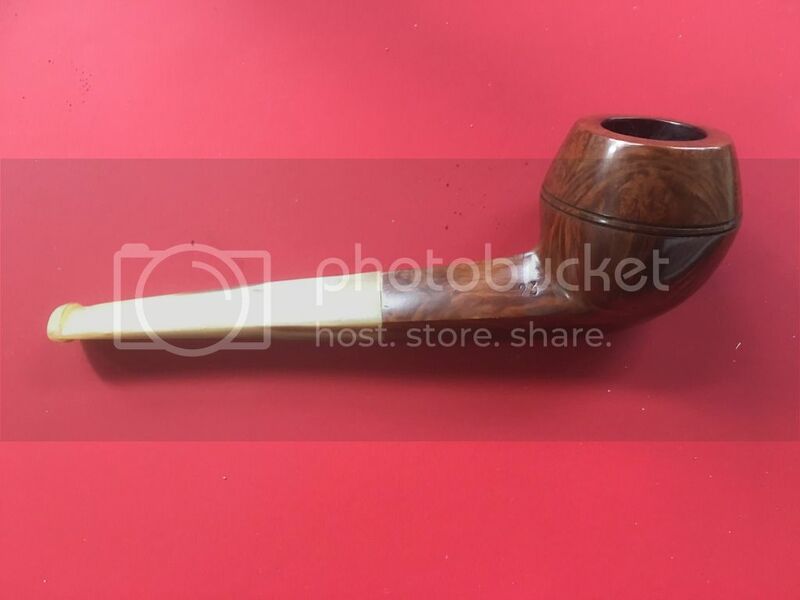 It's light and has a fine antique look to it with the horn stem. Thanks, that's what I kind of thought, but wanted to ask. Great job Neil. 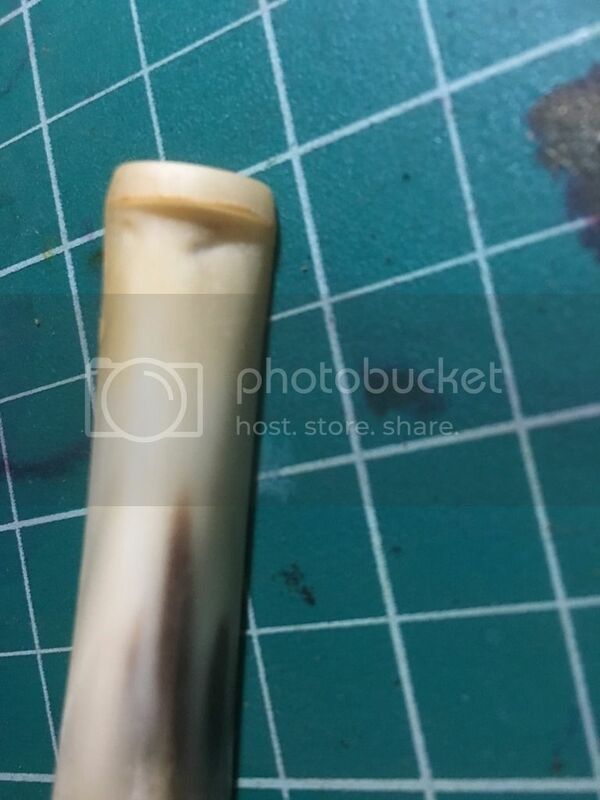 I read up on horn stems and a lot of the advice is to never clench them as they're so soft. The previous owner must have bit it pretty good. That temp dent stuff would not last very long. It dries kind of powdery and will fall apart.